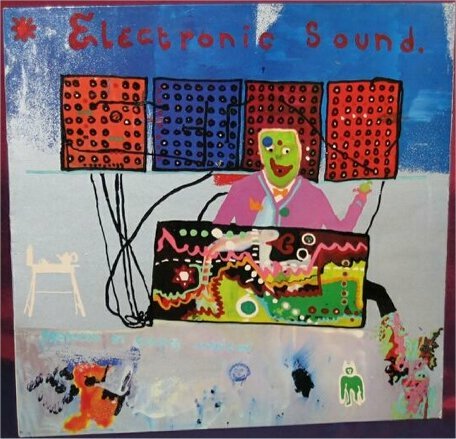 Electronic Sound - The C.D. U.K. Album Chart Detail : Did NOT Chart. 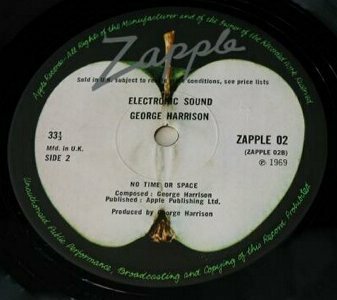 Detail : George Harrison's second solo album release, and the second (and final) release on Apple subsidiary label Zapple. would be (in the words of my old friend Alvin) Avant garde clue !. The second side was recorded in November in 1968 in California, with Bernie Krause "assisting". 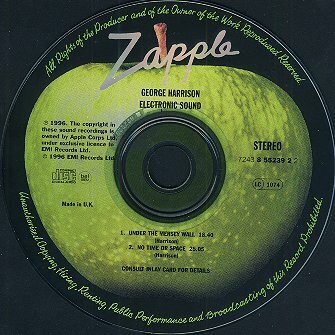 Krause later said that the recording was simply an edit of the lesson he had given George of turning the machine on, that he had made the recordings and that George had "appropriated" them. 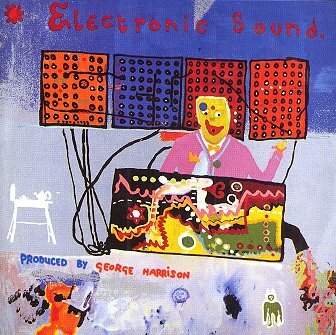 With side one recorded in George's home studio in Esher in 1969 on his newly purchased Moog Synthesiser, this is quite probably the very first album of solely synthesised sounds. 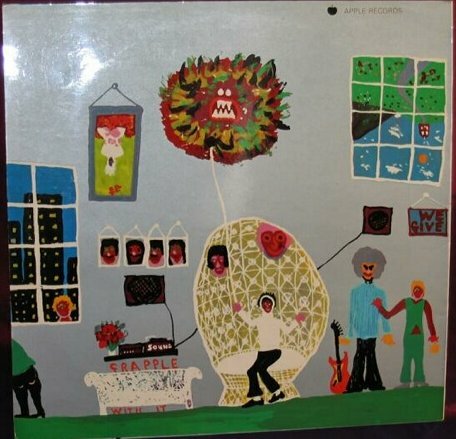 The cover has two paintings, both by George, who is credited with the sleeve design. There are a lot of people around, making a lot of noise, here is some more. 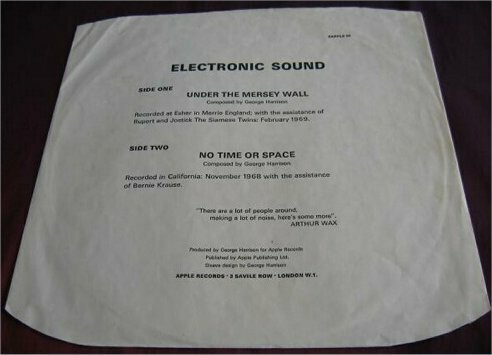 Under The Mersey Wall Harrison February 1969 - Recorded at Esher in Merrie England with the assistance of Rupert and Jostick, The Siamese Twins. 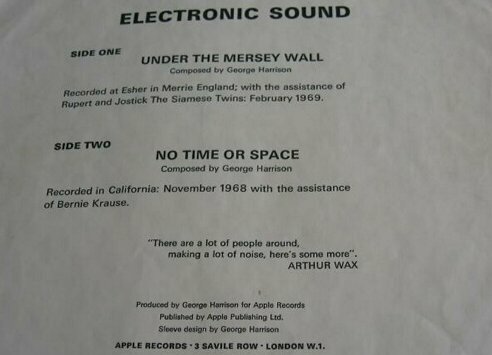 No Time Or Space Harrison November 1968 - Recorded in California with the assistance of Bernie Krause. 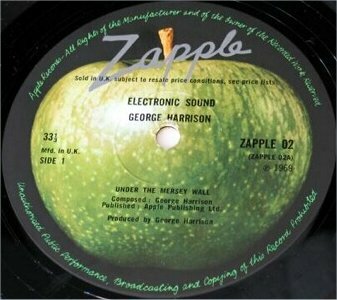 ZAPPLE 02 - with inner sleeve including credits is worth about �. 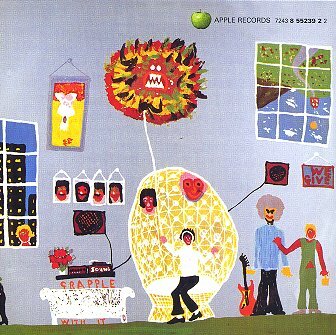 ZAPPLE 02 - with inner sleeve is worth about �. June 1996 a digitally remastered C.D. was first issued on catalogue number 7243 8552392 2 with no bonus tracks, BUT amazingly the two tracks are reversed AND incorrectly named as each other ! ©2002 Graham Calkin's Beatles Pages. All Rights Reserved.